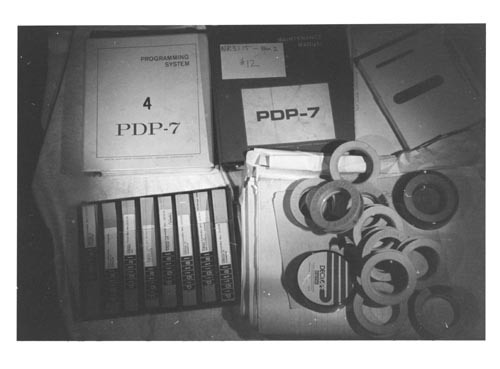 Black and white image of a grouping of PDP-7 artifacts. Including Programming manuals, magnetic tape reels, paper tap reels. These were displayed at DECUS.